Fresh coconuts have been very cheap in my neck of the woods recently, so I bought several of them and am going to make some great recipes! First and foremost, however, coconut milk! This recipe is so so simple, and you can make several varieties! First, we need to break open the coconut and pour out the water. This can be done very simply with a hammer and screwdriver. Ta daaa! 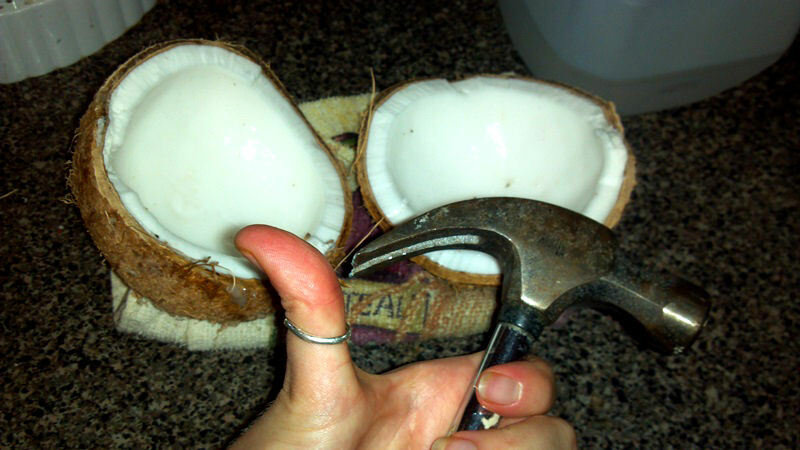 You will now be able to scrape the meat out of coconut! 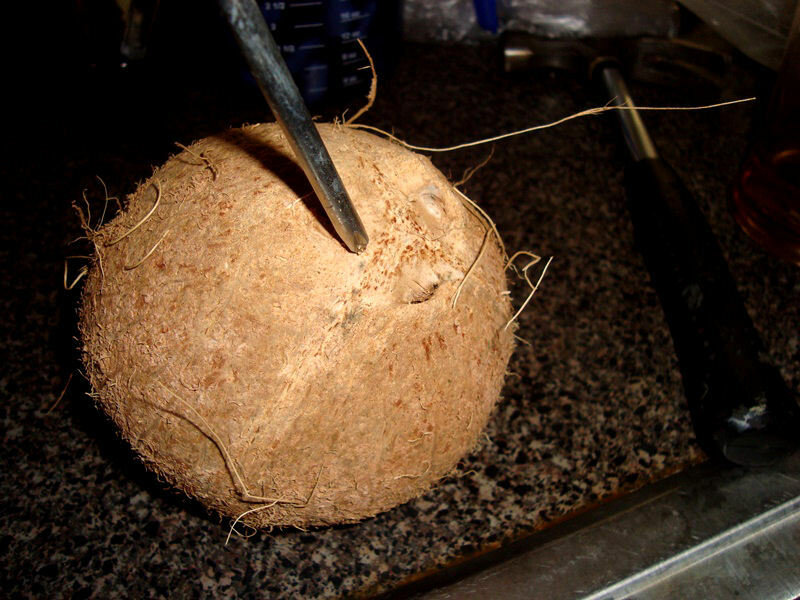 Using a knife and spoon, scrape the meat out of the coconut, cut it up and measure out 1 cup. Save the rest for later as a snack or addition to a fruit salad! 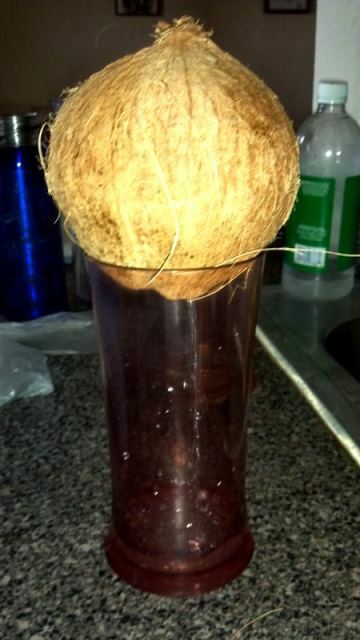 Put the coconut into your high-powered blender, and add the coconut water you drained out of the coconut to it. If it turns out to be less than 4 cups of coconut water, use regular water to make up 4 cups. Next, blend, blend blend! 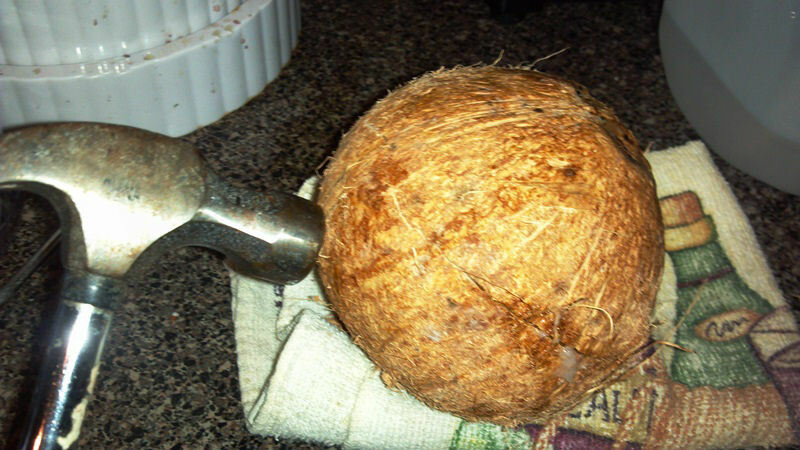 Coconut meat is very thick and heavy. You will need to blend for a good minute or so, mixing high and low speeds to get the meant blended. If you are wanting to add any of the additional sweeteners, now is the time to do so. Adding a few dates or so coconut sugar really helps to bring out the flavor! You can also add cinnamon and vanilla as well. Once it’s blended, pour into a glass and drink! 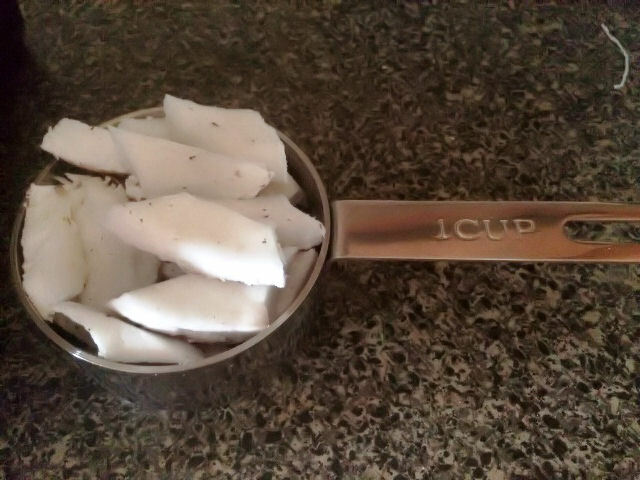 Another option is to strain the coconut milk through a cheese cloth or nutmilk bag, to take out the coconut pulp. For me however, I like to drink it all. It tastes great! 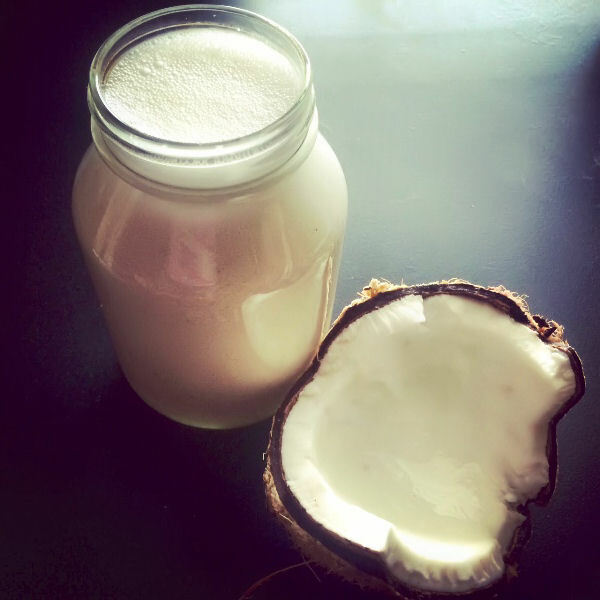 Coconuts are so, so good for you, and this milk is amazing! 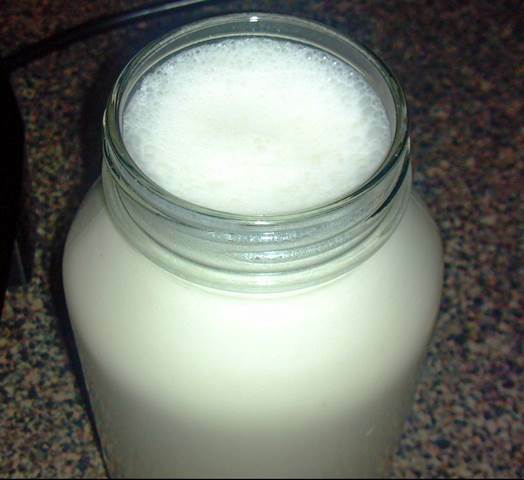 It’s sweet, thick, delicious, and makes for a great coffee creamer or thick milk substitution.